Happy Jay? (88/365 v2.0) – Annoyingly Boring? Stocked up for the season today. Odd that the only place I have any luck finding just the balls and not the ball/bat combo is the supermarket. The kids will thank you someday. This shot could be an ad for wiffle ball…nice! 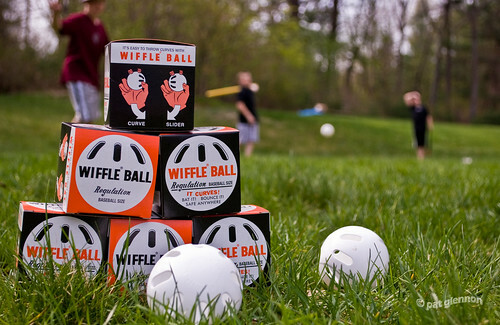 What exactly is wiffle ball?